In his video MaskitolSAE shows the 10 MHz of waterfall and audio from some Jupiter noise bursts received with his SDRplay RSP1 at 22119 kHz. 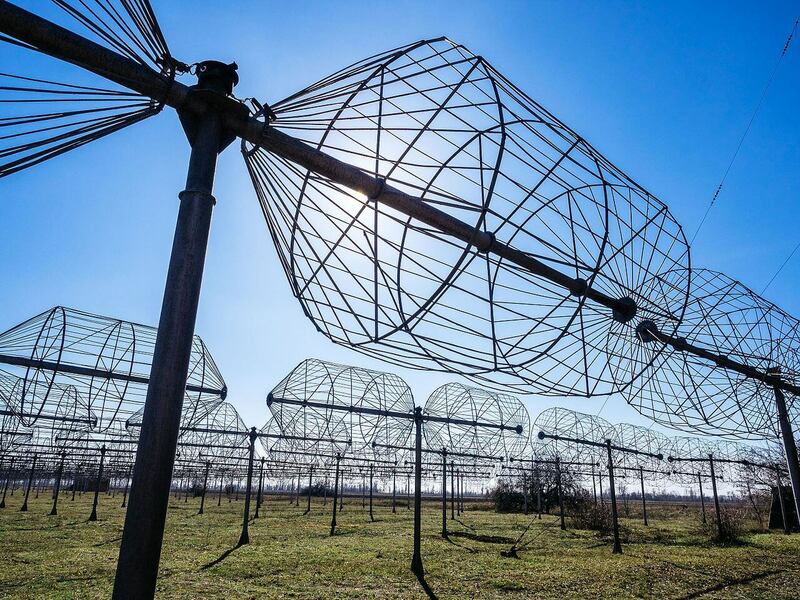 According to the YouTube description, it appears that he is using the UTR-2 radio telescope which is a large Ukrainian radio telescope installation that consists of an array of 2040 dipoles. A professional radio telescope installation is not required to receive the Jupiter bursts (a backyard dipole tuned to ~20 MHz will work), but the professional radio telescope does get some really nice strong bursts as seen in the video. I have only had one go at hand making a discone out of welding rods and I DID NOT LIKE it as keeping Symmetry is quite a challenge. Although it does work rather well regards to bandwidth. I like all these space born posts although I don’t think much of using galvanized wire…it’s the low loss radio engineer in me i suppose. Hello. I have in mind to do a decametric radiotelescope like the NASA’s Radio Jove Project using a RTL-SDR as a receiver. Thanks for sharing.